Award recipients have demonstrated exceptional competence in teaching and mentoring of undergraduates. They must have clearly mastered their subject material and communicated it with enthusiasm and clarity to undergraduates. Andrew Whitley was nominated for his work teaching undergraduate physics labs. Andrew is a VERY enthusiastic teacher. He brings a significant amount of preparation and thought to each and every lab and lecture he performs. As a result he does a wonderful job of conveying introductory physics material to students who are often not interested in learning physics. He motivates students to learn difficult material, and to do their best. The students in his lab last semester felt that they had actually learned and clarified some physics from class -- which is certainly the point of labs but not always appreciated by the students. Teaching Philosophy: Without a doubt, teaching physics at UNCW has been one of the most rewarding experiences of my life. My primary goals in lab classes are that every student walks away with a better understanding of physics and learns how to think critically. That can be very challenging considering that none of my students are physics majors and many of them are not even science majors. I constantly relate the physical concepts taught in class with phenomena students see in everyday life. I strive to get my students to look at things they have seen in the world for years with a new appreciation of the mechanics behind them. I firmly believe that we, as humans, learn by doing, and lab courses lend themselves to hands-on experiences. I endeavor to make every lab experience as much fun as possible because when students are having fun in lab, they are more likely to remember the experience and take with them the things they have learned. 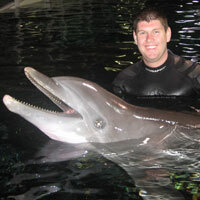 Matt McCarthy received a UNCW Graduate School Outstanding Graduate Teaching Assistant Award. Matt has been a terrific TA in a many different geography courses. He is extremely helpful and patient, and he keeps students calm under stressful conditions. Matt has an easy going yet confident and professional demeanor. Matt is very well spoken, articulate, and takes time to explain how various techniques work. The students admire and respect him, and we are fortunate to have him as a role model for students taking our courses. Teaching Philosophy: I learned from my parents, both retired professors of English and Classics, that while students learn in a wide variety of ways, motivation to learn comes from a combination of obligation and sincere interest. I believe it is my job to explain the material, and present it in ways that my students can relate to and commit it to memory. I encourage my students to ask questions when they need help, but to think critically about their problem before asking. Many of my students have come to know that, even after they’ve racked their brains and decided to ask for my help, I will often answer their question with a leading question so that they can start with what they do know and work toward the solution with a fresh perspective and my guidance. I challenge them to approach weekly lab tasks as if they were working on projects for a job, and make sure that they think about how they would approach a problem if they did not have someone there helping them. I’ve never learned well by simply being given the answers, and I don’t expect my students to, either. 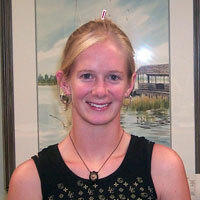 Brennan Carter was nominated for her work in the Environmental Chemistry lab. Most graduate teaching assistants have assigned lab exercises where the equipment and reagents are prepared in advance for them. Environmental Chemistry lab is fluid and builds each week upon the students’ interest in the topics and suggestions for actual research questions. Brennan listened to the group suggestions, researched the methodology and feasibility of answering the questions and essentially developed the labs on the fly. She prepared her own Powerpoint presentations containing background information that she personally researched. Her performance was far beyond what is expected from a graduate TA; she is one of the best. Teaching Philosophy: As a teaching assistant, my goal is to promote a positive environment where students feel comfortable, allowing them to do their best and enjoy the learning experience. I try to cater to all learning styles and allow students to learn from each other, as well as from the material I present. I ensure that all students are participating in the lab and understanding the material. I enjoy allowing students to think critically by developing their own experiments using their own ideas. I enjoy allowing students to work in groups and help each other answer questions. I aim to be fair and consistent with all of my students. I realize that my job is to not just teach students about the class material, but also how to be a better researchers and scientists by teaching them proper research and experimental techniques. I also believe in helping students with their college experience as a whole, providing them with information they can use in everyday life, and the ability to use what they are learning after their college experience is over. 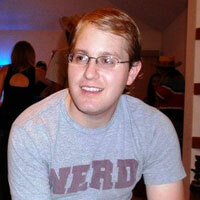 Cory Darnell was nominated for his performance in teaching introductory chemistry labs. He was extremely accommodating, going out of his way to volunteer for extra lab activities, attentive, conscientious, diligent, not afraid to ask questions or discuss student concerns, and good with student behavior issues. 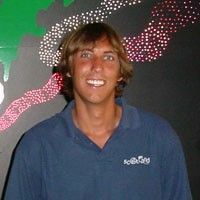 Cory improved over time as he gained teaching experience. He received many positive comments on his student evaluations last semester; the word “great” appeared thirteen times, “awesome” appeared six times and the word “fun” four times, even though several students admitted that chemistry was not their favorite subject. Teaching Philosophy: As a teacher, one of the most rewarding feelings is helping others understand material that at the time seems unattainable. My teaching style concentrates on that idea and I love getting the light bulb reaction from my students. I try to engage my students to learn actively and I continually challenge them to make sure they have a complete and thorough understanding of the material. There are many facets to teaching, but I think the most important is loving what you teach and teaching with enthusiasm. Teaching should be fun, dynamic, and interactive. I’ve also learned that positive encouragement goes a long way and I try to give it as much as possible. Some material is very new to students and a lot of frustrations arise from this. However, being friendly, approachable, and understanding goes a long way to remedying those frustrations. Lastly, my students learn from me as much as I learn from them. I love having small group and in-class discussions about problems because students generate a lot of questions that I may have overlooked when preparing to teach. These are the moments that make teaching so dynamic and enjoyable! Teaching Philosophy: Teaching students to better understand the world around them and to help develop critical thinking skills they will need no matter what career path they may choose is one of my primary focuses. When I teach, I try to present the material through different learning vehicles because everybody learns differently. I work to find students’ strengths and weaknesses so that I can better adapt my teaching strategies. I try to relate the material to practical aspects of everyday life; students seem to grasp the material and remember it better when they can understand the relevance of it and relate to it. I like to ask questions designed to make the students think and build connections from one concept to the next; students seem to retain information when they make the connections themselves as opposed to being told. Many times I use their responses to determine if the students really understand the material. The most important part of teaching in general is that it should be fun. In essence, I want students to realize how the material relates to them in life, and I want them to see that they are getting more out of my class than what is written in a textbook or a lab manual. Dustin Allen’s nominator writes that Dustin has a very quiet manner with a 1000 Watt smile! Dustin understands what his freshman Bio 201 students bring with them from high school and is able to help them make the transition to individual thinking and concept building. Dustin's lab are always very organized, the students are on task (a no small accomplishment), and often stay late to talk with Dustin about their results. His labs hum along and much good work is accomplished. Dustin's students like him very much and they also respect him very much. Over the past several years Dustin has given many young scientists an excellent beginning toward critical thinking, along with technical skills and the knowledge base that will stand them in good stead for the rest of their careers. Teaching Philosophy: My teaching follows four main guidelines. The first of these involves changing the classroom formality so that everyone feels confident and comfortable to ask questions and lead discussions. Secondly, I feel the assignments in each class should cover a range of oral, written and group work. This forces the students to apply their knowledge to both their strengths and weaknesses, and more importantly, learn to work together to accomplish a task. Thirdly, I teach for the “light bulb moment,” hinting and guiding in the right direction, until the frustration and confusion fade to understanding. Lastly and most importantly, class should be fun. Take a field trip, a class day outside, or just a unique approach to a new topic, the less ordinary the better. Andrew Sumerel was nominated for his work in introductory algebra-based physics labs (PHY 101-102) in the Department of Physics and Physical Oceanography. His nominator wrote “I have observed and evaluated teaching assistants in physics graduate programs for more than thirty years, and Andrew is one of the most conscientious and effective instructors I have ever known.” Andrew recognized the need to prepare thoroughly, often spending an hour or more prior to each lab running through the experiment in its entirety. The results have been stellar: student comments on performance evaluations administered each term have been uniformly positive, and summary performance scores have typically exceeded those of our most seasoned professors. This is especially revealing when placed in context: students taking this class do so because they have to, not because they want to. Andrew not only knows the subject matter well and is able to communicate it effectively, but also establishes an excellent rapport with his students. These experiences speak well for Andrew’s dedication to task and the vitality he brings to teaching. Teaching Philosophy: My teaching philosophy is a result of the perpetual examination of my ideas concerning education, and is geared toward the teaching of Science and Mathematics. I believe that a knowledge of the basic workings of our physical universe and the tools to understand it are very important for everyone, so I feel strongly that careful consideration of course structure, presentation of material (including group work, hands-on activities, fun demonstrations, use of available technologies, etc. ), and appropriately designed exams are meant to maximize my students’ education. Additionally, I make myself available to my students as much as possible, encourage them to come to me with their questions and concerns, and impress upon them the importance of practice, practice, practice! These aspects of my philosophy ensure that my students gain and retain lifelong, worthwhile information and the desire for its pursuit. Sarah Katharine Braly was nominated for her excellent job of teaching undergraduate Botany labs. Katherine took a great deal of initiative for significant additions to the BIO 205 Botany Lab. She took the students to a variety of plant ecosystems on and close to campus to study the physical environment and relationships between the plants and animals living there. Instead of just emailing lists for the Greenhouse Manager to bring to the lab, Katherine spent considerable time in the Greenhouse picking out suitable materials. Bio 205 is an introductory level course, and because Katherine made it so enjoyable, many students were recruited to pursue further study in botany. While working in the Greenhouse, the students often mentioned that Katherine has a gift for teaching and is able to make difficult plant physiology concepts easy. Her passion for plants is contagious. Teaching Philosophy: I believe my teaching methods are evolving but the most important concepts I carry with me are that you can’t know everything, and science is ever changing. When teaching biological sciences, it is important to make clear there are exceptions to every rule and life is dynamic, things are not concrete by a long shot. Keeping this in mind helps to make teacher as well as student mistakes learning processes rather than demeaning experiences. Also relating teaching topics to seemingly unrelated things in everyday life seems to hit home and help with retention. On this note I definitely think it is important to be hands on, go outside and experience the study topic first hand. Teaching Philosophy: I enjoy teaching because I enjoy learning. I go into my labs with an open mind because for as much as my students learn from me I always learn something new from my students. It may be another way to explain a chemistry concept that’s easier to understand or it may not even be science related at all. I think that too often people don’t take the time to learn from each other. We all have something to offer and I try to remember that when I interact with my students. I will always be a student underneath it all because I love learning and trying new things. I try to portray that trait to my classes because I think that it is what makes me a successful teacher. Holly Gabries was nominated for her excellent job of leading discussion sessions on ten different topics in the Seminar in Environmental Studies (EVS 495). Each student also developed a formal term paper with an initial defense and final oral presentation. Holly exhibited a high level of maturity and acumen in dealing with a wide range of subject matter and student-related issues in this capstone class that requires subjective assessment of student performance. 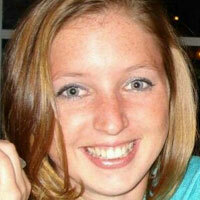 Holly is able to anticipate what is needed, and her rapport with the students is excellent. Teaching Philosophy: I enjoy environmental science because generally there is no one right or wrong answer to any problem. I enjoy watching how the students interact with each other to discuss some of the most prominent environmental issues of our time. Many times students get stuck in multiple large, lecture-dominated courses which have become all too common in undergraduate academia. This seminar course, however, allows the students to break out of their shell and gain real world skills which will stick with them throughout their careers. I pride myself on being a part of that experience and hope that the students take as much out of the course as I do. Barbara Jacobson was nominated for her dedication and effectiveness as a graduate teaching assistant. One of Barbara’s first assignments as a TA was to make hundreds of agar plates containing several solutions. The agar didn’t gel right. It was late on Friday and the plates were half-way gelling. Most TAs would have declared them “good enough” and closed up shop. Not Barbara. She got on the internet and found that the agar was not heated sufficiently. Barbara spent all weekend redoing them. The lab was more successful than it had been in years. There were many instances where almost right was not nearly good enough for Barbara. Barbara teaches the socks off her Bio 105 students. As we all know, non majors are difficult to teach: they don’t want to be there. Barbara rewards effort and interest and never gives in to the whiners. Barbara mixes super organization with fast paced, interesting content and a dash of humor. Her sense of fair play and her dedication to the hard-working students is legend among the other TAs. Teaching Philosophy: As a teacher, I am continually learning new ways to teach my students about biology. I love sharing with my students my love of biology and I try to impress upon them why we study the natural world and what information it provides us with as a result. I feel it is important to be honest and approachable as an instructor. I encourage students to ask questions and if I don’t know the answer to a question, we find it together and we both learn something in the process. Instructing non-majors presented a different mode of teaching and as a result, I molded my lessons to what they would identify with and what information they should retain (for more than just a week). I enjoy interacting with students from every discipline, and relating what they learn to their future, in both their career and life. As long as they understand the lessons and get the point of the lab, I have done what I set out to accomplish. 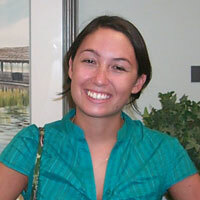 Sara Althof was nominated for teaching Introduction to Physical Geography, which includes laboratories dealing with topics including hurricane hazards, beach erosion and vegetation and soil patterns of the Coastal Plain. 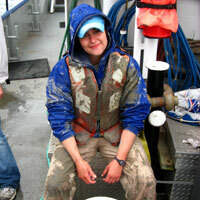 Her broad interests in the biological, environmental and marine sciences make her well-suited to teach this lab. 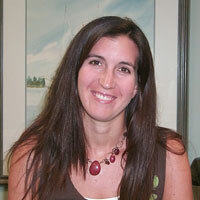 Sara brought exceptional preparation, professionalism and enthusiasm to her teaching assignment. She was always well-prepared, very well-informed, and always willing to answer questions. Teaching Philosophy: When a student can identify with something familiar, the student is more likely to understand and retain the information. Consequently, I exploit every opportunity to use real-world and local examples to illustrate laboratory concepts. As an instructor, I feel it is important to be candid, honest, and human. When I teach, I encourage students to ask questions, and if I do not know the answer, we research the question and find the answer together. Lastly, I think that an instructor must be firm with grading, but compassionate. Gwen Shaughnessy was nominated for her professional and enthusiastic teaching of General Chemistry labs. Gwen has a strong passion for teaching that extends beyond the traditional classroom setting. 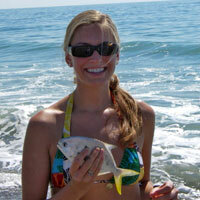 She has taught in outreach programs for local aquariums as well as coached swimming classes for high school students. She is a team player and volunteers for extra duty without hesitation. Gwen is a perfectionist who comes to lab fully prepared with an understanding of the labs far beyond what is required. Teaching Philosophy: First and foremost, displaying consistent enthusiasm for the subject material engages students in the learning process. I strive to be flexible and adaptable to different situations and learning styles. A single way of demonstrating a technique or solving problems may not be comprehensible to all my students. I try to relate chemistry to everyday examples; sometimes my students think my examples are silly and they get a good laugh, but they do end up understanding the material. As long as they get it, I have done my job well. Brooke Stuercke’s letter of nomination states that her knowledge of both botany and phycology has made her a valuable instructor in the Plant Biology labs. Brooke has created new interest in plants for students who are generally not enthusiastic about botany. She is highly organized in her teaching plans. 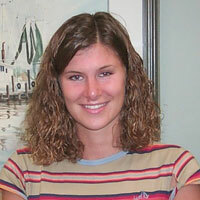 Brooke exemplifies the high standard of teaching for which UNCW is well known. Teaching Philosophy: My teaching philosophy is still evolving because I am still evolving as a teacher. Teaching to me means listening to students and providing them with a base of knowledge to build upon. Teaching is important to me because each person has the ability to do wonderful things and without the power of knowledge these potentials may not be reached. I believe that passing on knowledge is one of the greatest gifts one can give. Teaching is an opportunity to share more than a syllabus. Teaching is an opportunity to share a part of myself, a chance to make abstract things concrete, to make the impossible obtainable, and to do it in a way that grows exponentially with every new student I reach. 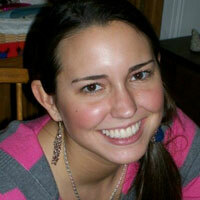 J. Brooke Landry was nominated for her work in teaching the lab for BIO 366 Ecology. Brooke was called a “Model TA” by her supervisor. She contributes beyond her own responsibilities. She is always extremely well prepared, pleasant and professional. Brooke is exceptionally even-handed and sensible in all her dealings with people. Advice from Brooke to other TAs: Be honest with your students. If you don’t know the answer to the question, commend the student for asking a challenging question, and then go find out the answer. Chris Thornburg was nominated for his work in BIO 425 – Microbiology, the highest level course taught by a graduate student. Chris has assumed responsibility for all aspects of preparing and teaching this lab. In order to teach this lab, Chris had to prepare approximately 50 different live bacterial cultures including potential pathogens often weeks in advance of the lab, which required preparation of hundreds of tubes and plates using a multitude of media. Chris has made this lab more efficient, safer and more student friendly. Chris is an excellent teacher, very demanding but well liked and respected by students. His organizational skills are fantastic. He was called a “once in a lifetime TA” by his supervisor. Advice from Chris to other TAs: Challenge your students to think outside the classroom beyond grades. Challenge your students to use their creativity to solve scientific questions. Byron Toothman was nominated for his work teaching labs for BIO 204 Principles of Biology, a course where students are often deciding if biology will be their major. Byron’s teaching combines enthusiasm for science with his desire to have students learn, while continually challenging them. He exhibits great patience and perseverance in the classroom. His supervisor commented: “I am grateful for Byron’s maturity and conscientiousness in his interactions with students. He has shown the intelligence and commitment to try new teaching methods, assess whether they are effective, and modify them as needed. Byron’s development as a teacher exemplifies what should occur over the course of the graduate teaching experience.” Advice from Byron to other TAs: Be approachable and involved with your students. Make the students feel welcome whenever they come by with questions. of study while taking at least 12 credit hours per semester. Advice from Chris to new students: From the very first day get to know your fellow graduate students. They can give invaluable advice about things to come, help you study and learn material, and become great friends. Graduate school can be difficult at times, but it’s always been easier knowing there are friends right next to you almost every step of the way. Along those lines it’s important to balance your work, relaxation, and family and friends. It’s very easy to burn out under a heavy task load, but a balance of work, emotional support, and fun can make your time as a graduate student much easier. Finally, you should admit to yourself that at some point in your graduate career you will make a mistake. Whether it’s a small mistake, like a question on a test, or a larger mistake, like an omission in a term presentation, what truly defines you as a graduate student is your ability to correct the mistake and your resolve to come back from it and keep moving forward. Stay on top of things as you learn them in class, and don't put off material that requires more thinking until later to fully understand it. Read up on material that relates to the field of research your project will be focused on, start with concepts that you understand and gradually build off of that. I thought it was helpful to schedule my core classes mostly to be during the semester of the comprehensive written exams for Marine Science students, that way the material is more fresh in your mind when you are preparing for them. Also remember that the faculty are there to help guide you as a future professional in the field, so don't overlook their experienced advice. While you're going to have to put a lot of time into your classes and research, don't forget to also enjoy what's around you! Advice from Andria to new students: It is assumed that if you are entering a program to get a Master of Science degree in marine science you must have some motivating factor to make you want to study the ocean for the next two years of your life. I can guarantee you that this desire to learn about the ocean will be fulfilled. The core classes you will take are delightfully connected to one another; you will find that what you learn in one will be able to be applied to the others. As such, take the time to really learn the material so that you can find these connections and build a working model in your mind of the how the ocean functions. This education can be especially cultivated by studying at the beach! Look out at the ocean from the shore or a surfboard and ask yourself questions about the dynamics even just offshore. What is the primary productivity and why? What might the currents be considering the wind that day? It is truly fun to learn about the oceans while in such proximity to the Atlantic itself. It must also be said that it is imperative to get started on your research early, so you must be able to balance both your classes and the developing and implementation of your research ideas. But remember, this balance also includes finding time to relax and enjoy the location of UNCW! Advice from Joann to new students: Try to get the majority of your classes completed during your first year. I recommend studying and learning the material on your own before you attend a study group with other students because it will be more productive if you already have some questions. Also, it is definitely helpful to go to your professor's office hours whenever you have any questions-they want to help you. I know it's cliche, but begin studying for your tests in advance and don't wait until the last minute. It's beneficial to learn the material as you go along and review it several times during the weeks before the test to ensure that you really know it well. Of course, relax and take time to go the beach! Advice from Avery to new students: Take the time to learn about your new home. This includes the lab and for some, the campus and Wilmington in general. In your first year, challenge yourself to learn as much as you possibly can about the focus of your lab and your potential research topic(s). Interact with and get to know professors from various disciplines because they will be valuable resources. Pay attention, not only to your schoolwork, but to the scientific literature you need to become familiar with. This will help lay the groundwork for a successful graduate experience at UNCW. Advice from Danelle to new students: Startresearchin the lab early in the school yearandchoose classes that will apply to your research. Being able to apply theories and/or techniques from class to your own research is exciting and motivating. I also suggest becoming involved in student organizations, where you canshare knowledge with other grad students and undergrads. Go out andenjoy the ocean and beach; it clears your mind and really allows youappreciate our field of study. Advice from Kate to new students: I recommend getting to know your fellow students; they will quickly become people you can learn with and let off steam with. Get started as soon as you can on your research and try to finish most of your classes in the first year. In your lab, seek out students in their second or third year and get as much advice from them as you can. Wilmington is a great town and don't forget to take the time to enjoy it. Graduate school enables you to be flexible in a way that is rarely found in the job world so live it up while you can! Advice from Laura to new students: Get to know the other students in your program, as it always helps to have someone to discuss classes with or study with. Also, get to know your professors. They are always willing to help and answer questions whenever possible! I recommend taking most of your classes in your first year so you can focus on your research in your second year. If possible, try to work in lab a little the first year so you can get used to how everything works and feel comfortable when it comes times to start your research. And finally, make sure to balance studying with time at the beach! Advice from Barbara to new students: Ensure that you are not exceeding your own limitations.You need to be able to balance your priorities between work, fun and school.Any time that you can study with other people really helps.My study group normally consisted of those people that came into the program with me aswe were all in the same core classes,so make sure that youtalk withothers inyour classes and coordinate study times. Advice from Sarah to new students: Get classes done as soon as you can so you don't have to stress and you can focus on research. Get to know your classmates,because they are great people and will be a great resource to you! Try to have a life outside of work. :) There are plenty of fun things to do around here! Advice from Gwen to other students: The secret to mysuccess has been perfecting the art of a balancing act.I really strived to have extracurricular activities so that I didn't get bogged down in all the studying.I find that if I have time to let my mind relax, it is better able toabsorb information.Plus, any chance you can study on your own and in a group setting helps.Overall, I would say that I worked hard and played hard.